Over the past few months, JENLOR has expanded our support team with new members. We would like to take this time to formally introduce you to our newest hires Douglas Foster and Chad Walker, who joined Chris Schoen’s Helpdesk team. Both of them add more depth and coverage to our customer base. We look forward to their contributions! 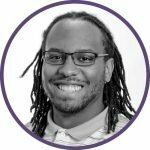 Douglas has been in the IT field for 4+ years with a passion around cyber security. He will be responsible for fielding inbound requests such as Helpdesk support, troubleshooting, and pre-staging customer equipment. Douglas relies on an easy-going, methodical approach to his work. Douglas is a very friendly and positive person when interacting with his coworkers and customers. Chad has also been in the IT field for 4+ years, starting his career as an intern and eventually growing into a Senior Specialist before joining JENLOR. Chad has extensive experience in technical support, networking, and customer service. Chad will be counted upon for fast and reliable support to our customer base. Chad is a high-energy person, who is able to work quickly towards resolution, with a strong technical mind and continues to absorb new information.